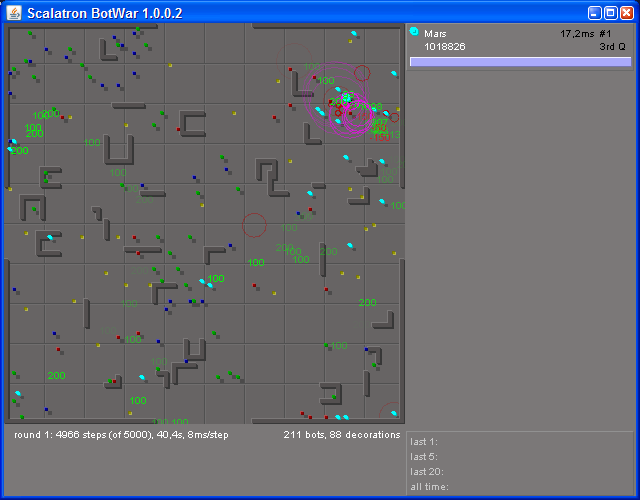 Recently I was pointed to project Scalatron which is a programming game, where bots are fighting in simple arena. The main goal is to capture as many energy points as possible, or at least more than your opponents. Your goal, as a developer is to write a function in Scala programming language that controls your Bot. In brief your function will be called by the Scalatron server with passed parameters such as the map of area that is visible to your bot. And your function should return a commands that will be passed to your bot. This is very simple mechanism that allows you to control your bot in easy way. I consider the Scalatron project to be very enjoyable way to learn or practice the Scala language and trying to develop some interesting decisions algorithms. Scalatron Bot Mars to score 1 000 000 energy points! 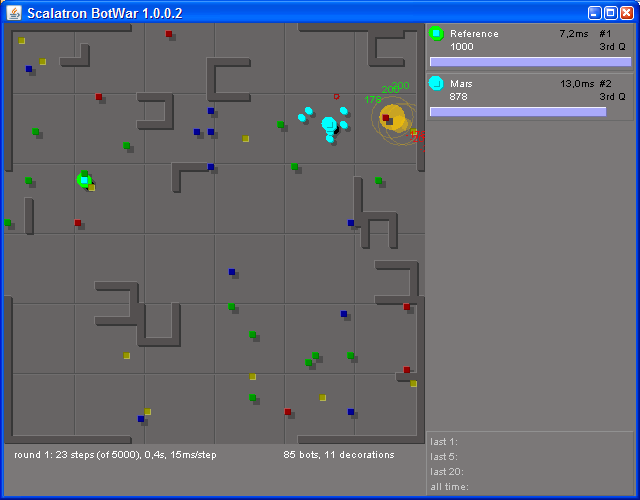 Those senses are used to calculate preferences for direction that bot should move. Most important characteristic of them is that they are exponentially decaying when the distance from interesting object is growing. 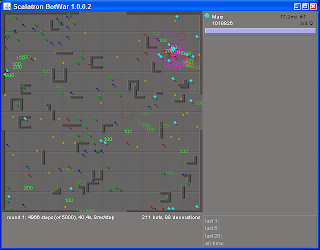 That way bot will react mostly for the objects that are nearest to him. 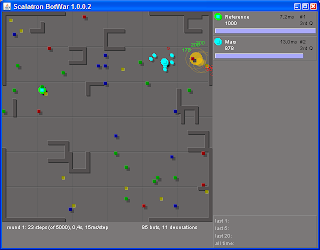 Those are to summarise main ideas that I have come up with, that allowed me to develop a Mars bot that achieved more than 1 000 000 points in standard scalatron benchmark. I you are interested in more details how I've implemented that bot, you can find my bot’s source code on github's ScalaBotMars project.